The HD photo panels are waterproof. The photo panel has an extra hard surface that prevents the water from damaging the photo. It is even possible to clean the photo panel thoroughly with soap! The photo panel can therefore be suspended in damp rooms. The photo panel can be hung in the shower and outdoors in the garden. It can also be used for advertising messages that are hung outside. By using these photo panels you can distinguish yourself from others! 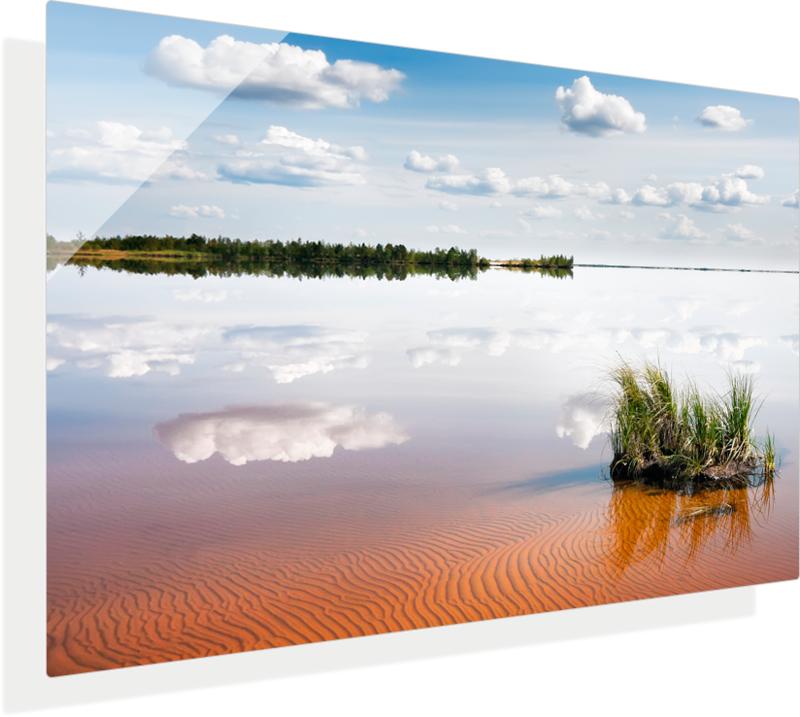 A photo can be printed on a matte or glossy ChromaLuxe photo panel. It is also possible to choose whether the panel has a white or an aluminium top layer. A photo on an aluminium top layer gives the photo a special effect. The white in the photo is left out so that the brushed aluminium becomes visible.An aluminum HD photo panel has rounded corners as standard. This creates an elegant appearance. The MDF HD photo panels have no rounded corners. The fact that the aluminium HD photo panels have a UV-resistant coating layer and the photo is printed on the panel by sublimation brings the photo to life. This ensures that the photo gets depth. Tests have also shown that the photo panels are colourfast. With incandescent lamps and direct sunlight, the effect this had on the colours was tested. The investigation has shown that compared to a photo on photographic paper, the colours are up to 4 times less likely to discolour. The aluminium photo panels are only 1.14mm thin! The ChromaLuxe photo panels are therefore extra light and easy to hang on. The photo panel can be suspended from the wall. The MDF photopanels have an MDF wooden frame and are therefore thicker. These are 1,6 cm thick. An aluminium photo panel is lightweight and can be easily suspended with a suspension system. These can optionally be ordered with a panel. The MDF photo panels for the wall can be hung directly on the wall. These panels already have a suspension system in the MDF so that the photo panel can be hung directly.